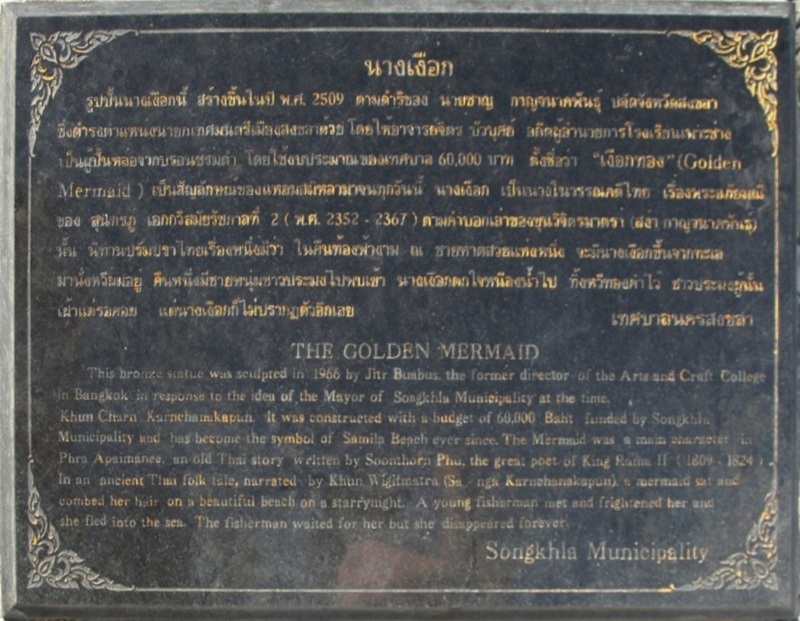 The idea of the mermaid comes from an epic 30,000-line saga about prince Phra Aphai Mani by Soonthorn Phu. Soonthorn Phu’s real name was Phra Sunthorn Vohara, and he is one of the most loved Thai authors and poets. He was the official poet for Kin Rama II in the early 19th century. 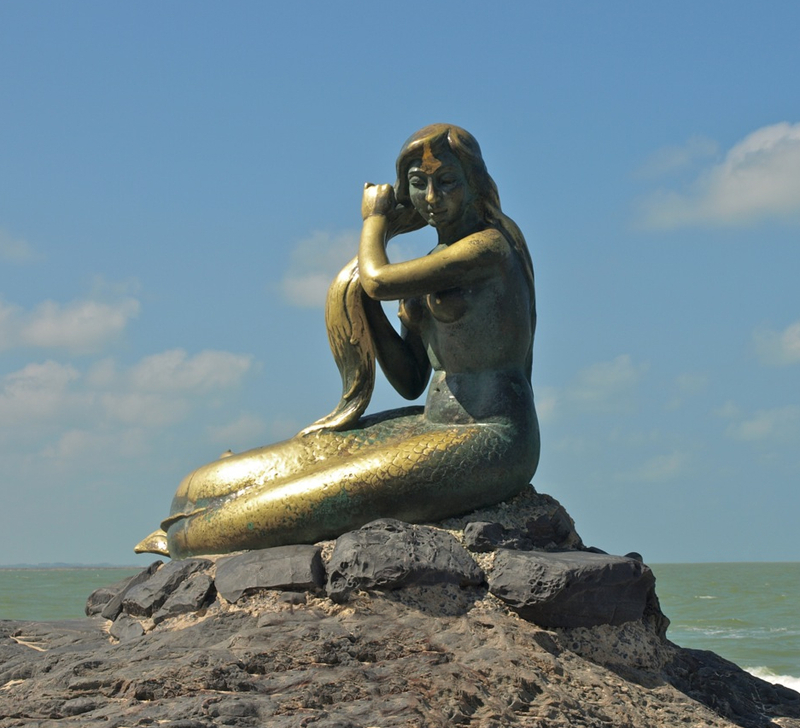 The statue is based on this saga, which in small part tells of a mermaid, who combed her hair with a golden comb, on the beach one starry night. She was frightened away by a young fisherman. Smitten by her beauty and wanting to return her comb to her, he waited every day for her return, but she never came back. 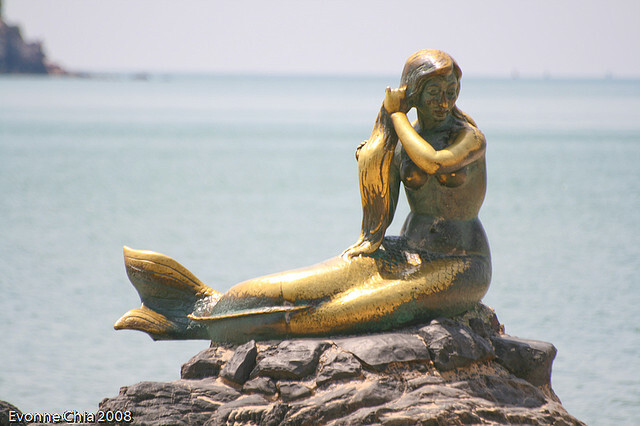 The Phra Aphai Mani saga in turn is based to some degree on an ancient Thai legend of the mermaid and the fisherman.